Everybody hold on to your hats: a new Escape has entered the automotive landscape, and it’s turning heads throughout Colorado! Sure, the 2017 Ford Escape boasts ample technologies, reliable safety devices, and a luxurious interior, but it’s especially distinctive when it comes to engine power. To see what we mean, you need only compare the Ford Escape to one its rival vehicles, the 2017 Mazda CX-5! Lets begin with what matters most: engine power. The 2017 Ford Escape – The Ford Escape is going to give you a huge spectrum of engine choices. With its 2.5L iVCT, it can generate 168 hp and 170 lb-ft of torque while also achieving 21 mpg in the city and 29 mpg on the highway. Meanwhile, with its 1.5L EcoBoost engine with Auto Start-Stop, it promises 179 hp and 177 lb-ft of torque, while also realizing 23 mpg in the city and 30 mpg on the highway with Front-Wheel-Drive and 22 mpg in the city and 28 mpg on the highway with Four-Wheel-Drive. Yet you can also opt for a 2.0L Twin-Turbo Scroll EcoBoost engine with Auto Start-Stop that generates a wild 245 hp and 275 lb-ft of torque while also allowing you to realize 22 mpg in the city and 29 on the highway with Front-Wheel-Drive, and 20 mpg in the city and 27 on the highway when equipped with Four-Wheel-Drive. The 2017 Mazda CX-5 – The Mazda, on the other hand, provides you with nothing more than a single 2.5L SKYACTIV-G 4-Cylinder engine that promises a paltry 184 hp. What’s more, the new Escape comes embedded with a slew of thrilling new technologies to keep you entertained and the drive as smooth as possible. The 2017 Ford Escape – For example, the Escape provides streaming traffic information via SiriusXM Satellite Radio, while it also gives you TravelLink services to keep you abreast of traffic developments and other travel-related information. At the same time, its Sync Connect system enables you to use your smartphone to lock or unlock doors, get up to speed on fuel levels, and more. Plus, its hands-free, foot-activated lift-gate service makes loading and unloading a piece of cake. The 2017 Mazda CX-5 – While the CX-5 does come with MAZDA CONNECT to keep you in touch with friends and family, as well as a Mazda Navigation System, it does not boast the Escape’s hands-free, foot-activated lift-gate service. Finally, the Escape is outfitted with a selection of safety devices designed to keep you as secure as possible on the road. 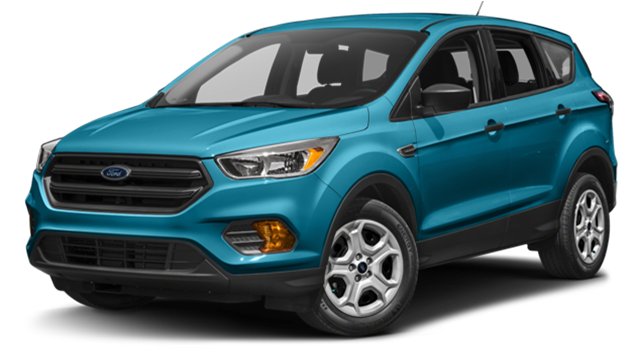 The 2017 Ford Escape – In addition to its Standard AdvanceTrac with Roll Stability Control, the Escape comes equipped with a Personal Safety System that features dual-stage driver- and front-passenger airbags, knee airbags, and front-mounted side airbags. Yet at the same time it also provides a Safety Canopy System with two more side-curtain airbags, and even Adaptive Cruise Control and Collision Warning with Brake Support. 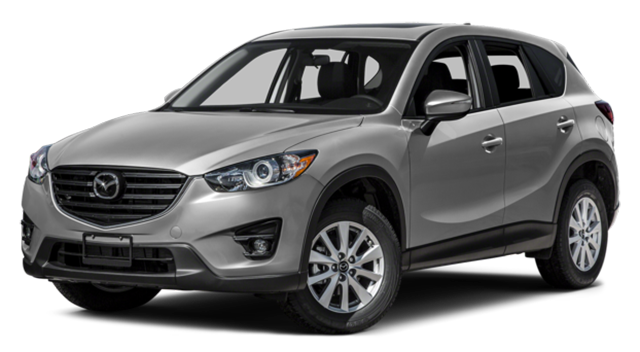 The 2017 Mazda CX-5 – To be sure, the CX-5 also comes with some reliable airbags, as well as Dynamic Stability Control, Bind Spot Monitoring, and more, but it does not give you a Collision Warning with Brake Support system. However, there’s no reason simply to take our word for all of this. You can test drive the new 2017 Ford Escape simply by stopping by our Glenwood Springs Ford dealership yourself. Located at 55 Storm King Road in Glenwood Springs, we can also always be reached by telephone at 970-945-2317 or via this easy-to-complete online form. Don’t delay to explore the new 2017 Ford Escape now!